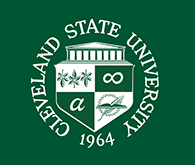 Cleveland State University Library News Topic: Taking a trip abroad this summer? Always wanted to learn a foreign language? Taking a trip abroad this summer? Always wanted to learn a foreign language? Check out the new foreign language materials in the CPL@CSU collection. There is a collection of several audio CDs that will give you an introduction to different languages for your big trip or get you started on your goal. Languages include Spanish, French, German, Italian, Chinese, and Japanese. Click here for the list of CDs. In addition to the CDs, there are several books and magazines written in Arabic. Posted 2008-02-14 15:23:36 by Tracy_Kemp.